When you meet Sibu it becomes immediately obvious why she has excelled in her chosen career path. Her warm personality and infectious smile, coupled with a love for talking and excellent social skills make her perfect for client services, and is why we snatched her up the moment we met her. Sibu studied Marketing Communications at AAA, specialising in Brand and Account Management. During this time she took part in the L’Oréal Brand storm competition where marketing students were tasked with creating an inflight experience for Lancôme. Her team’s inflight store experience got all the way through to the semi-finals, showing immense strategic talent and concept development. 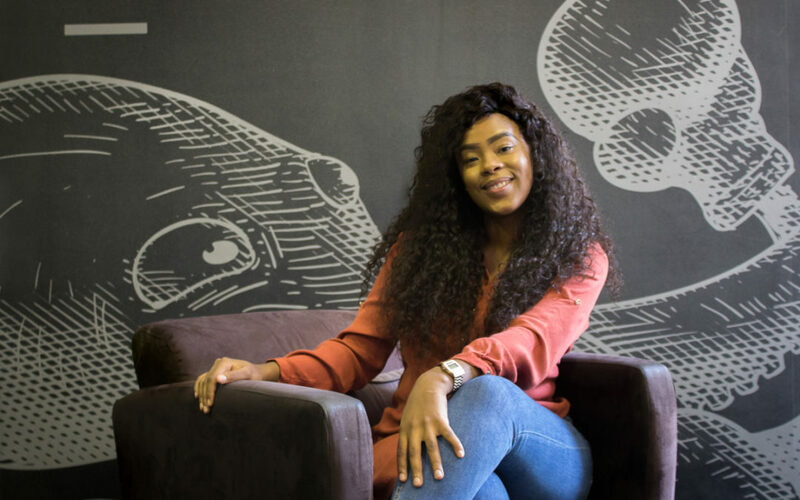 After completing her degree, Sibu went on to do a 9-month internship with Liquorice, where she gained invaluable experience working on various local alcohol brands. Today, Sibu is part of the Cape Town team as an account executive working on Pioneer Foods, Bostik, Mukuru and WP Rugby. She was attracted to advertising specifically because of the brands she grew up with, and the opportunity to continue telling those well-known and loved brands’ stories. What is the most played song on your phone/streaming service/in your car at the moment? Neiked – Sexual. This song really gets me moving and in a happy mood. If you could work remotely from any city in the world, where would you go? If you could do a modern day Reggies Rush in any store, which store would you pick? If you could make any futuristic invention exist right now, what would it be? If Kirk was to be played in a movie, who would it be?